Aishwarya Rai Bachchan and daughter Aaradhya both are unwell. Aishwarya Rai Bachchan and daughter Aaradhya both are unwell. 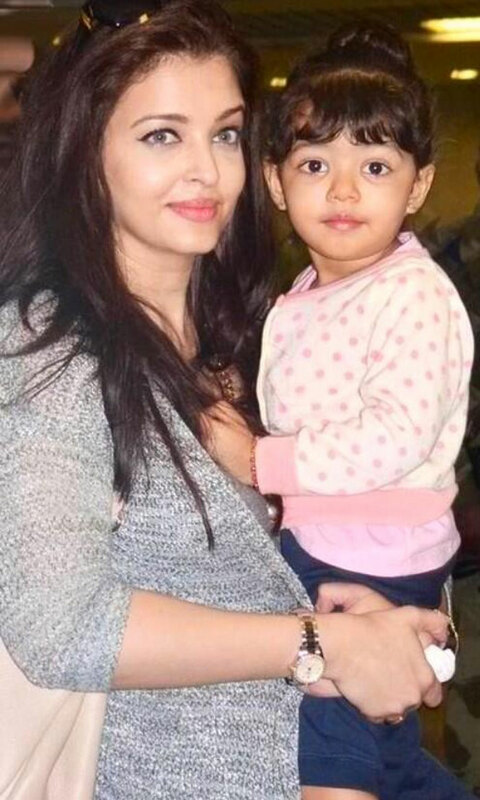 Home > news > Aishwarya Rai Bachchan and daughter Aaradhya both are unwell. Aishwarya Rai Bachchan and daughter Aaradhya both are unwell. Bollywood actress Aishwarya Rai Bachchan and her daughter both are unwell. While Aishwarya is down with a viral fever, Aaradhya is also unwell. Aish is making a comeback in Bollywood movies so, little Aaradhya had to spend time away from her dear mother. Even after being ill Aishwarya is doing very well multitasking, she is working hard for her upcoming movie Jazbaa and also taking care of little baby. Over the weekend, the actress played her wife role as well at the ongoing Pro-Kabaddi League cheering for hubby Abhishek Bachchan's team. BR team salutes Aishwarya & her real life Passion & also we wish both mother and daughter get well very soon.